30" Animated Headless Zombie – Awesome Zombie Halloween Costume! Animated Headless Zombie measures approximately 30" high and is made of plastic, fabric and metal. Requires (4) "AA" Batteries. Eyes light up clear. Prop lifts head off of shoulders. Includes stand. 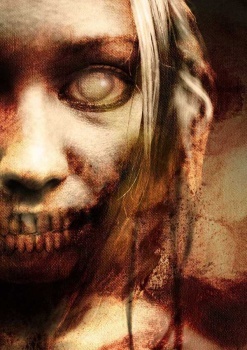 Zombie says the following phrases: "It’s Halloween if you didn’t know. Just thought I would give you a … head’s up!" "I’d forget my own head… if it wasn’t attached!"